50% OFF SELECTED ACTIVITIES ON ANY WEDNESDAY IN AUGUST! Whether you’re a complete beginner or want to improve your current skills, our fully trained instructors will be able to help you whilst ensuring you have 100% fun at the same time. We will play a variety of games to keep you excited about this ever growing sport with the finale seeing if you have the skill to shoot the apple off our manikins (AKA Susie) head, a very hard challenge!!! 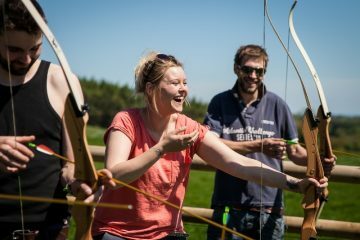 Archery is suitable for any age from 8 – 80 and with a variety of different sized bows we can equip you with the right kit to hit the centre each time. 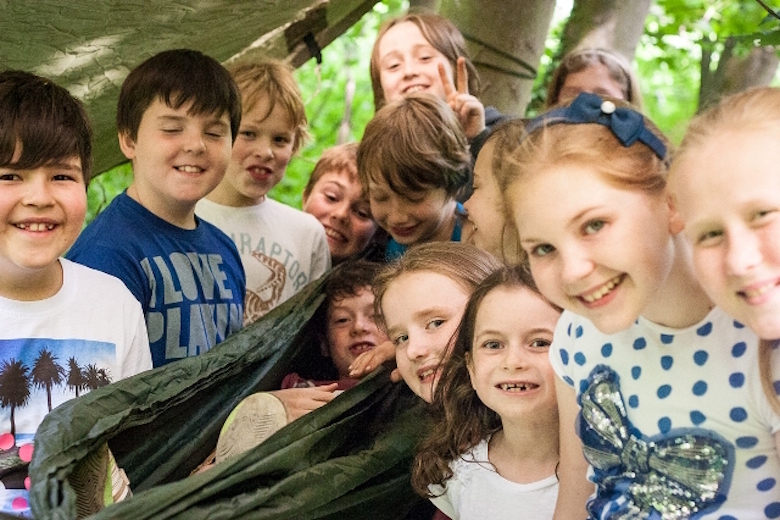 Have you ever wanted to light fire and build shelters with just the use of natural woodland? Good news is our venues are located in perfect woodland which allow you the chance to learn and develop your Bushcraft skills. Come and learn the basics to Fire Lighting and Shelter Building and put your new skills to the test! During your session you will be shown how to fully handle and throw the axes at our targets. We will play a variety of games to keep you excited about this ever growing sport, with the finale really putting your new skills to the test! 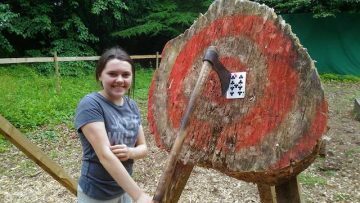 Axe Throwing is suitable for anyone aged 12 years and over. Do you enjoy solving puzzles? Then our Cryptic Chase is the perfect activity for you! 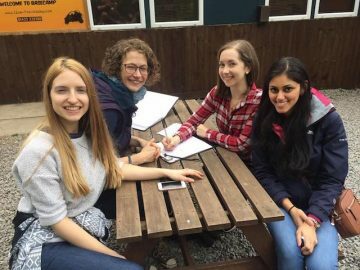 During your session you will find different marked points on the map finding cryptic clues, riddles and puzzles at each location! This is a race against the clock so you must navigate the course quickly and efficiently whilst also putting your brain to the test. All available at Hazlewood Castle & Ripley Castle centres. Contact us now to book, quote WED5017. Limited availability so be quick!